Xenophobia is trending both in West and East Germany, a survey conducted by researchers from Leipzig suggests. While anti-Semitic sentiments have ebbed, more people agree that they feel less at home in their country because of Muslims, saying Germany should not let them in. The Leipzig Study on Authoritarian Trends has revealed that almost a quarter of respondents, 24 percent had a negative attitude towards migrants, Sueddeutsche Zeitung reports. Thirty-six percent of them agreed that foreigners only come to Germany in order to take advantage of the welfare state, while over a quarter of those asked by the scholars would send foreigners back to their homelands if employment became scarcer. Additionally, 36 percent think Germany has fallen under alien influence to a dangerous degree. The study revealed that, respondents in East Germany tend to support these statements more than those in West Germany. The scholars from Leipzig say they've been observing attitudes toward right-wing extremism in Germany since 2002; they've published updated reports every two years, and surveyed 2,500 people between May and July. 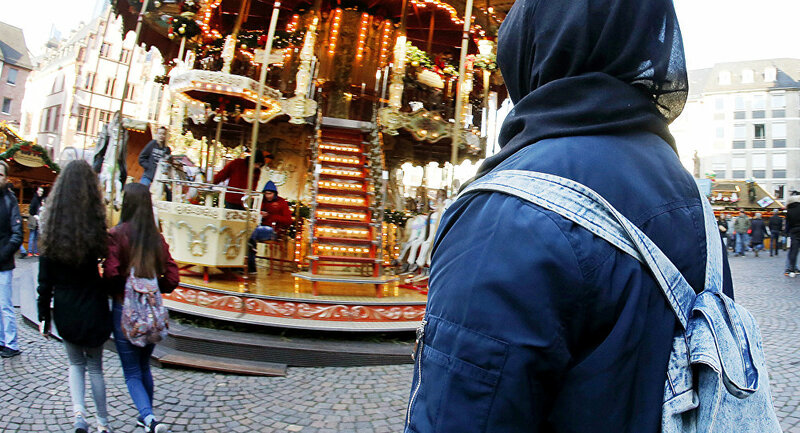 Nearly 45 percent of the respondents specifically agreed that Muslims shouldn’t be allowed to move to Germany, which is 7 percent more than in 2014. Moreover, 56 percent supported the statement that they feel like strangers in their own country because of many Muslims, in comparison to 43 percent in 2017. Additionally, 4 out of 5 respondents said that the authorities should not massively approve asylum applications. Most respondents can't tolerate Roma; half of the respondents agreed that they shouldn’t be allowed to loiter in town centres. At the same time, the rate of anti-Semitism has slightly decreased; only four percent showed signs of such inclinations, down from five percent in 2016. Despite the preponderance of hostile attitudes, a massive share of 94 percent of those polled liked the idea of democracy. However, more than half of them think that "some groups should not be surprised that the state limits their rights," while the principle of "equal rights for all" was also rejected by a high number of study participants. Under the open-door policy proclaimed by Chancellor Angela Merkel, Germany has become one of the countries most affected by the migration crisis in Europe, which broke out in 2015 with a huge influx of people fleeing armed conflicts in the Middle East and North Africa. According to the European statistics office Eurostat, Germany took in 325,400 refugees in 2017, accounting for almost 60 percent of the 540,000 migrants arriving in the EU last year. The statistics office said most of the migrants came from Syria, Afghanistan, and Iraq. At the same time, 72 percent of German citizens believe that the country’s migration policy is too careless, according to the YouGov poll. The country has seen a series of anti-immigrant rallies and counter-protests in recent months. The most populous rallies took place in the eastern city of Chemnitz. Thousands of people demanded the ruling CDU party deal with what they claim are increasing numbers of crimes committed by migrants after young Syrian and Iraqi men allegedly stabbed a local citizen to death following a verbal conflict.